WELCOME! To www.VisitMenorca.com, the official web site of the Minorcan Hotel Association “ASHOME”. Parting from our institutional front page you will be able to distinguish the most varied offer of lodging on the island of Minorca: Hotels, Apartments and Villas are affordable with the guarantee of the best service and hospitality. You will also be able to know about its culture, its customs, its gastronomy and its beaches, as well as every single chance of relaxing within natural surroundings and enjoying new experiences and sensations. You have the chance of planning a different kind of holiday through VisitMenorca.com. The Minorcan Hotel Association (ASHOME) was constituted in the year 1978. The Association’s aims are the representation, administration and defence of the financial, social, labour and professional interests of all the tourist lodging trade and the companies exploiting holiday tourist housing on Minorca. At present, ASHOME represents 200 hotel establishments and companies exploiting holiday tourist houising, with a total of 40.000 beds. ASHOME has been awarded, through out its long existence, the Mérito Turistico Plate (1988) by the Ministry of Tourism, the Gold Sheild (1991) by the Balearic Tourism College and the Technological Innovation Prize (2005) by the Economy, Tax and Innovation Councel of the Balearic Government, as well as other honours from Official Organisms and Institutions. You can download the map at the following link. 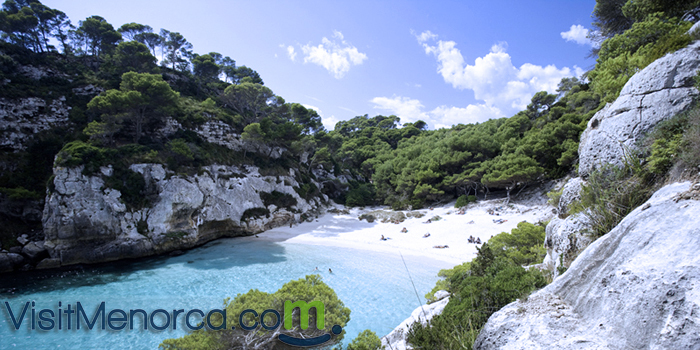 Search and Book flights to Menorca.